Corporations across the globe are trying their best to look at business form a customer-centric view. This exercise opens for them a window to peek into the interests of their clientele and create policies accordingly. But in today’s volatile business environment judgements built simply from past experience or intuition is increasingly unreliable. Customers today are more connected and empowered. Access to the internet all the time has allowed them to become more specific about their needs. They are aware of everything that is trending in the market. In such a scenario it becomes important for a business owner to predict a customer’s response with respect to his organization. The deeper businesses understand their customers’ preferences and lifestyle habits, the more they are able to attract potential buyers. However, it is not as simple as it seems. 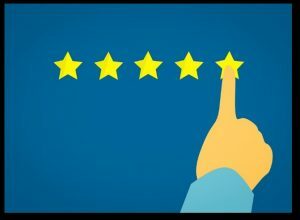 It is a big challenge for the organizations to understand customer feedback, behaviour and needs, well enough so as to make data-driven decisions about what customers are likely to respond to or what they are likely to purchase. Customer analytics or customer data analytics is that significant insight gained with the help of data science, that allows businesses to use customer data in order to make key business decisions. The information obtained from the process is used for designing effective marketing campaigns, site selection, customer relationship management and secure decisions for the future. Insights pertaining the customer’s feedbacks and responses drive the organizations to directions that help them outperform their competitors. Strategizing everything beginning from their production to their supply far before the demand arises, helps them improve their key performing metrics. There is a surplus amount of data available in both structured as well as unstructured forms to support the decision-making process. Structured data is quantifiable and organized in datasets for ready analysis such as customers profile, transactions, CRM, purchase history, credit etc. Unstructured data, on the other hand, comprises almost 80% of the business information like text-based data from customer comments, customer surveys, email communications, tweets, online reviews or call centre logs etc. 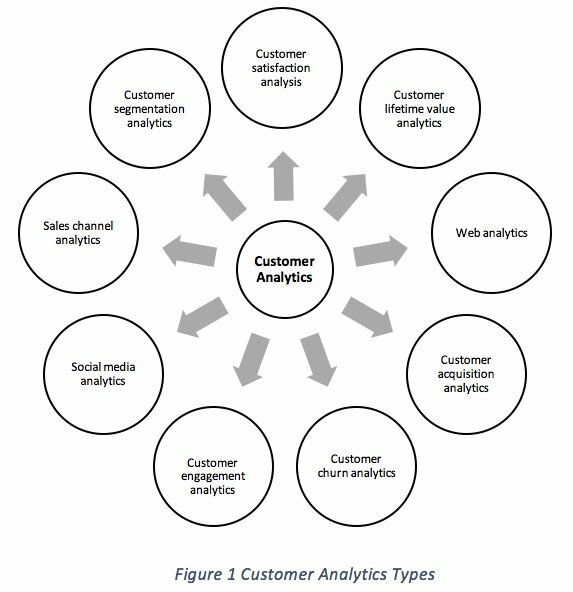 In “customer analytics” process both the forms of data are merged together and analysed to extract useful insights. How to interplay the strengths pertaining to the data analytics, machine learning and statistics to derive information that could build your business, solely depends on how the top management owns and makes these as an integral part of their everyday routine. Which customers are going to churn away? Which customers are most likely to upgrade? Which products will customers want next? What is my customer acquisition cost? What is the ratio of customer acquisition cost to customer lifetime value? The e-commerce industry is the one that has been exploring customer analytics to its full potential. Customer data is being utilized at every step of business decision making and that has surely been fruitful. For instance, the data like what a customer has purchased, watched or stored on its wish list on an online selling portal offers the analytics to derive various conclusions. Some which may include the demand pattern of a certain product, interests of the customer, product reviews and much more. Based on these assumptions the machine learning algorithms and anticipatory models are able to offer recommendations to the customers. This not only enhances the experience of the user but also improves the chances of retaining customers. Some of the most successful e-commerce businesses that use customer analytics include Amazon, Flipkart, and Netflix etc. When we talk about applying customer analytics to the health care system, what is the first thing that pops up in mind? Who are the customers here? Anyone who is seeking medical treatment can be considered as a customer here. To understand the role of analytics in healthcare let us take an example. A lot of patients are undergoing diagnosis for cancer every day some tests are positive and some negative. These results can be used for creating a prediction algorithm for checking the early onset of the disease. Every customer analytics approach that is used in the health industry is for the benefit of humankind. There is no market without an efficient logistics industry. If a customer has ordered a product it must be delivered on time and in good quality. Logistics industry use the customer data to ensure that their vehicles are reaching out in time and offering good services. The customer reviews are utilized to understand the problems that arise during the delivery of products and find means to resolve the same. Customer analytics incorporated into the banks’ working has made handling finances easier for the client as well as the bank itself. The customer data analytics allows the bank to predict whether a person has the credibility to repay the loan based on its credit score and other parameters. It also allows creating effective marketing and sales strategies for their financial services. Rather than trying to sell any product the banks can now create campaigns as per their customer insight and attract potential clients. Risk management is one of the other advantages offered by customer analytics which allows the banks to predict probable fraudsters. For all the business that aim to improve their market presence or widen their customer base, it is imperative that they focus on utilizing their customer data. Now, making use of the consumer desires and demands depends entirely on how the management decides to incorporate the relavant outcomes drawn from them by applying data science tools. A thorough analysis done by marketing experts at McKinsey, define how customer analytics could make an impact to a business. They highlight, that the culture of utilizing the customer data and thriving your business on the road to meet the customer needs is the key factor that could move the needle of your business performance. The top management of every business needs to inculcate the habit of extacting a quantitative insight from each of the customer parameters, so as to meet the targets each business sets. Benchmarking against your competitors to outperform them in meeting the consumer thoughts is what makes the difference and makes you stand out amongst the crowd. Those companies, where the top management enforces data-driven policy making are making marginal profits compared to those where evidence-based decisions run the management. All said, an organizations culture of going the data-way in their decisions finally makes the impact. So, adding value to each product or service that you roll out for the customers, must be driven entirely by the value a customer or consumer has for your product. Monitor every behaviour, sentiment and feedback, define it, analyze it, and then make the moves a winner in the line must.